Mental rehearsal is the secret to success in your personal life, and career. With the fantastic Commonwealth Games from Glasgow there have been numerous images of the competitors closing there eyes just before their event. This is not out of fear like we might, or to pray, it is a specific tool they use to visualise them winning the event. They are mentally rehearsing what they have practised hundreds of times to ensure a peak performance now, when it counts. The strength of mind to do this amongst the excitement, anticipation and stress of the event is what makes them Extraordinary achievers. 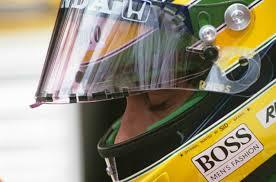 Outside of the Commonwealth Games, look at Formula One drivers like Lewis Hamilton and the late Ayrton Senna. In football David Beckham is often seen closing his eyes just before one of his amazing free kicks. In golf Tiger Woods used to regularily close his eyes during his practise swing. Extraordinary people use tools like mental rehearsal to deliver Extraordinary results. Imagine how you could improve your personal and professional performance at those critical times if you had the tools to mentally rehearse your activity before hand. Well you can by inviting MindStore into your workplace to deliver a custom designed workshop for you, your leadership team and people at all levels. We too can learn to use Mental Rehearsal to improve our performance. One of our best MindStore tools is within what we call our House on the Right Bank. This for those who have not attended one of our workshops is a place we create in our minds, on the Right side of our brain , the creative intuitive imaginative side. Where we can mentally rehearse the event that is so important to us in our life. Contact us to find out more. 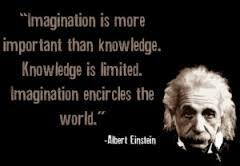 and secondly he said that “we can not solve our problems with the same level of thinknig that created them”. It takes mental rehersal to improve performance from Ordinary to Extraordinary. This tool delivers fantastic results. At MindStore we are passionate about helping everyone to rekindle that way of thinking so think about inviting us to be involved in your next learning and development event.